My 10 Favourite Words for LUST… and other useful emotions. I swearily dropped my phone down the toilet earlier (shock, surprise) on top of a wee, then fished it out (disgust,repulsion), then realised this is the third time I have done this (regret, remorse, embarrassment, frustration) and then found it still worked (anticipation, joy, excitement, amusement)… and finally the realisation that I had a reasonably relevant anecdote to put in this email for you (slight smugness). That was the little journey of emotions during phone-down-the-loo-gate(#episodethree). When we ask groups how they are feeling we know they will reliably give the same 10-12 responses. We are pretty ill-equipped as a species at dealing with emotions … or describing them properly. Here’s just one example – when we say we LOVE someone/something, what do we really mean. What’s the secondary emotion… the tertiary one? You feel compassionate/protective towards someone? Or you want to rip off their underwear?? By identifying exactly where you are in the spectrum of emotions, drilling down to be really specific you can stick a pin in your emotions map. When you do that – you can work out whether you want be there or would rather change things and inhabit somewhere else. 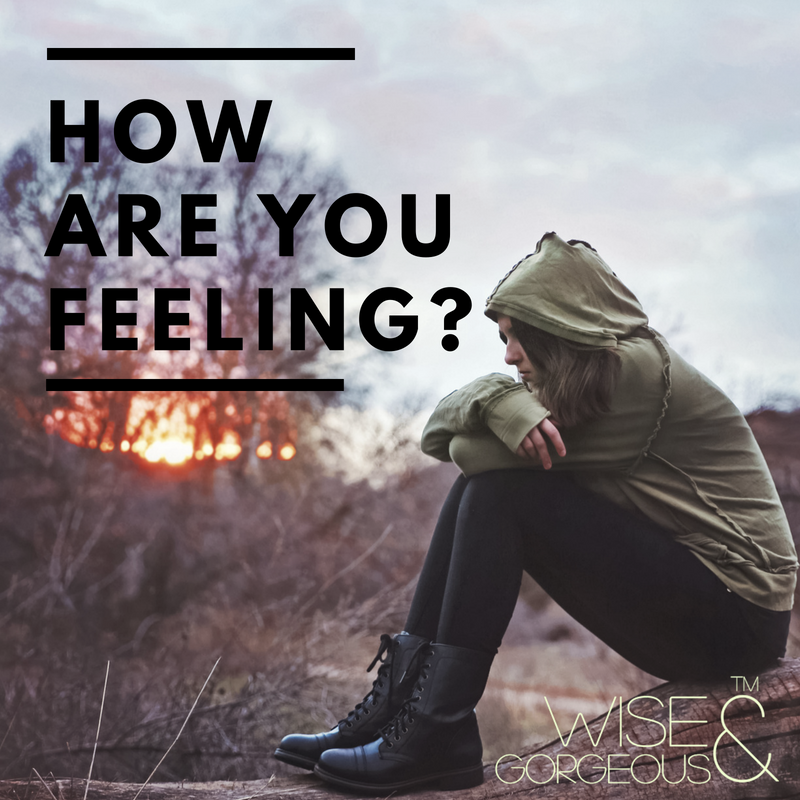 Find out how you feel. Take it out of its box. Look at it objectively. Give it language; name it, describe it. Chase it down to the root like weeding dandelions. What is it and what isn’t it. Is it frustration or hunger? Is it self-consciousness or anxiety? Is it loneliness or sadness? Really understand that no-one can actually make you feel anything. When you gain control of your emotions; you decide what happens. If you don’t – people and events will decide all of that for you. Step 1. Increase your Emotional Literacy and drill down to the truth. So – how are you feeling?